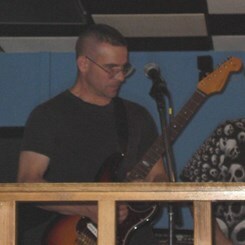 Mick has several years performance experience with several bands both here in the US and in Europe, playing guitar, bass, drums, and lead and backup vocals. He has been teaching since 2003 and with us at Music and Arts since 2010. Specializing in beginners, Mick has students from kindergarten to 85 yrs old. Whether you want to learn to read music, learn your favorite pop songs or any combination in between, Mick will custom craft a lesson plan just for you and guide you through every step of your music journey!